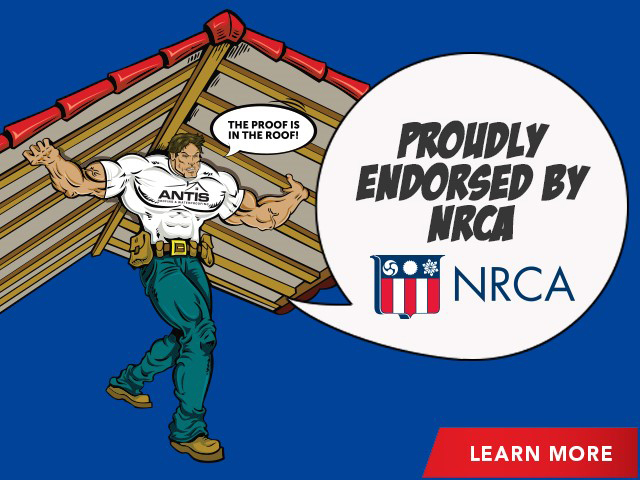 IRVINE, Calif. and LAS VEGAS and CHICAGO, March 2, 2017 /PRNewswire/ -- CNA and the National Roofing Contractors Association (NRCA) today announced Antis Roofing & Waterproofing as this year's winner of the CNA/NRCA Community Involvement Award. The Community Involvement Award honors the outstanding acts of heroism performed by NRCA contractor members for their communities. As winner, Antis received a $7,500 monetary donation from CNA to be bestowed to its charity of choice. The organization selected OneOC, which supports nonprofits with volunteers, training, consulting and fiscal sponsorship. 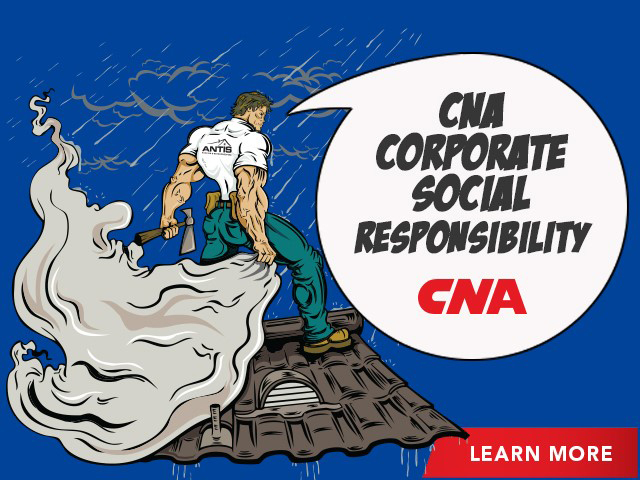 "CNA recognizes the value of a strong work ethic – both in the office and in the community, and we're proud to recognize Antis for doing more than their part to strengthen their Orange County community," said Aaron Kock, Assistant Vice President and Industry Leader, CNA. Antis launched itself to the top of this year's outstanding applicants due to its strong community partnerships and charitable efforts. The organization donates every roof installation for Habitat for Humanity of Orange County, Calif., and also gives its time, materials and skills to the Ronald McDonald House of Orange County, Alzheimer's Orange County and to private citizens in need, among others. 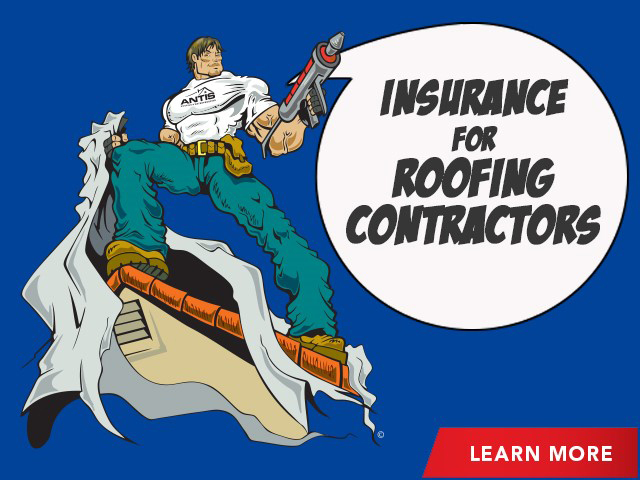 The award was presented March 2 in Las Vegas during the Awards Ceremony and Reception at NRCA's 130th International Roofing Expo, a premier roofing construction and maintenance event. Second and third place awards were also given out to Advanced Roofing Inc. of Fort Lauderdale, FL and Academy Roofing Inc. of Aurora, CO, respectively. Advanced Roofing Inc. received a $5,000 monetary donation for its nonprofit partner, Sonrise Mission, and Academy Roofing Inc. received a $2,500 monetary donation for its nonprofit partner, Rose Andom Center. "It was a privilege to play a part in selecting the winners for this year's CNA/NRCA Community Involvement Award, which spotlights the charitable work roofing contractors do in their communities every day," said Reid Ribble, Chief Executive Officer, NRCA. "Each year, our awards partnership with CNA enables us to give voice to the tremendous generosity bestowed by our members."